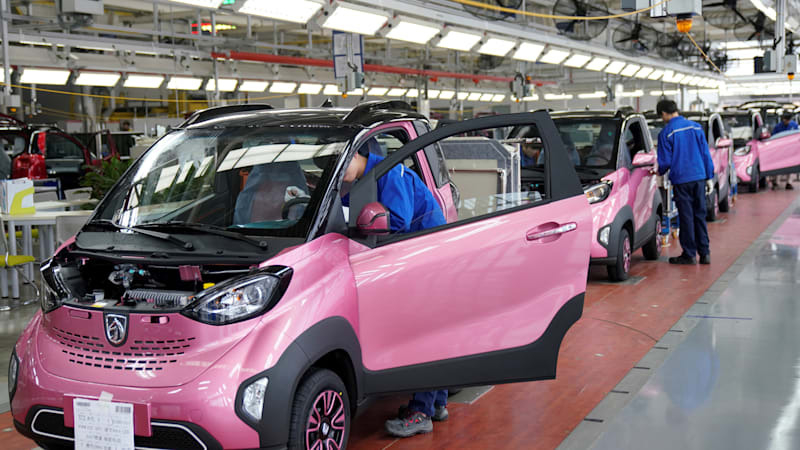 BEIJING— China is scrapping a limit on foreign ownership of automotive ventures, representing a major shift from policy in place for more than two decades, even as trade tensions simmer between Washington and Beijing. The country will remove foreign ownership caps on companies making fully electric and plug-in hybrid vehicles in 2018, for makers of commercial vehicles in 2020 and the wider car market by 2022, China’s state planner said in a statement. It also signals the end of a rule put in place in 1994, in which the world’s largest auto market limited foreign carmakers to owning no more than a 50 percent share of any local venture. Tesla chief Elon Musk last month that China’s tough auto rules for foreign businesses created an uneven playing field as scores of local and international companies compete for a slice of China’s fast-growing market for “green” cars. “Foreign companies may already be in a box (in China),” said Chao, adding that the joint venture structure was now so ingrained that many might not want to change it. Last week GM said that its “growth in China is a result of working with our trusted joint venture partners”. Japan’s Nissan Motor Co said in a statement that it would “monitor how any specific policies develop and will plan accordingly”. Honda said its China business had grown on the back of strong local tie-ups. “At the moment we have no plans to change our capital relationship,” a Honda spokesman said. Airbus and Boeing did not immediately respond to Reuters’ requests for comment. The highly symbolic moves in autos come after President Xi Jinping said last week that the country would scrap ownership limits “as soon as possible,” exciting global auto brands even as China and the United States spar over trade tariffs. China, which said the easing of autos rules is unrelated to its trade dispute with the United States, is keen to portray itself as open for business. Its ties with the world’s largest economy, though, are becoming increasingly fraught.